Indian economy has started showing some signs of improvement and economic indicators point towards slow recovery in government revenue. However, the GST collections have reduced in the recent months and Finance Ministry is concerned about the issue. The informal economy suffered a major blow and farm incomes reduced. The Finance Minister has introduced a budget which is focused on agriculture sector. We present views of Shanti Ekambaram, President – Consumer Banking, Kotak Mahindra Bank on the Union Budget presented by Arun Jaitley. The Finance Minister focused the FY18/19 budget on spends in Agriculture, rural upliftment, the poor, health, education, Infrastructure and Digital India. The end-to-end digital process will verify the KYC documents and signature via a video call with the bank and would require no physical interaction or biometric verification. The entire process is 100 percent paperless. The account opening process is simple and takes a very less amount of time. Once the Kotak Now app is downloaded, the prospective customer can upload KYC documents (PAN card, and either Aadhar Card or Passport), and the image of the signature. On entering a few personal details, the Customer Relationship Number (CRN) and Account Number is generated. Mumbai: Shares of Multi Commodity Exchange of India Monday settled nearly 8 percent higher after Jignesh Shah-led FTIL signed an agreement to sell 15 percent stake in MCX to Kotak Mahindra Bank for Rs 459 crore. MCX's shares zoomed 7.90 percent to close the day at Rs 848.35 after rising 13.83 percent to Rs 895 -- its 52-week high at the BSE in intra-day trade. On the NSE, shares of MCX ended 7.91 percent higher at Rs 848.70. FTIL's scrip climbed 2.11 percent to close at Rs 273 on the BSE. Mumbai - Jignesh Shah-led Financial Technologies on Sunday said it has signed an agreement to sell 15 percent stake in MCX to Kotak Mahindra Bank for Rs 459 crore. Financial Technologies India Ltd (FTIL) originally held a 26 percent stake in commodity exchange MCX. Earlier this month, it sold 6 percent stake in MCX in two rounds for about Rs 220 crore, bringing down its shareholding to 20 percent. After an agreement with Kotak Mahindra bank to sell 15 percent stake, FTIL is left with 5 percent stake in MCX. Banks are unlikely to offer any festive discounts on products like auto loans and home loans this year as they are struggling to cope with increased funding costs. During the festive season (Diwali and Christmas), demand for bank products like auto loans and home loans picks up across the country; almost all banks offer attractive discounts to attract more and more customers. But, many bankers have hinted that ongoing macroeconomic conditions will not leave banks in a position to offer any discounts during the festive season. Kotak Mahindra Bank enjoyed a 43 per cent jump in its standalone net profit in the three months ended June 30, thanks to an impressive increase credit growth and core income. The private sector lender said that its net profit jumped to Rs 403 crore in the April-June quarter of the current financial year, against Rs 282.45 crore in the corresponding quarter of the previous financial year. Total income grew by 28.94 per cent year-on-year to Rs 2,652.40 crore in the quarter under review. Kotak Mahindra Bank has acquired the business loans portfolio of the Indian arm of Barclays Bank, stretching its reach to around 6,000 business loan customers with a total loan outstanding of nearly Rs 700 crore. With the acquisition of loans portfolio, Kotak will also gain the opportunity to cross-sell the customers' products at both business and personal level. According to the bank's statement, the loans are classified as "standard loans" as per the Reserve Bank of India's current guidelines. Indian Stock market closed positive on Friday with BSE Sensex gaining 126 points at 17,783 and NSE Nifty closing at 5366. During the week, the stock markets have been positive and technical experts are seeing 5400 as major resistance for NSE Nifty. Among various sectors, BSE Auto, Consumer Durables, BSE FMCG and BSE IT indices closed positive. FMCG major HUL touched 52-week high today. The stock touched high of Rs 505.45 and close at Rs 503, registering gain of Rs 9. Among technology stocks, Infosys, TCS, Mahindra Satyam and Tech Mahindra were among major gainers. Market experts at KR Choksey have given a reduce rating for private banking major Kotak Mahindra Bank with a target price of Rs 545. KR Choksey research report has maintained a positive outlook for the bank for long term strong fundamentals. However, it highlights limited upside from current levels. 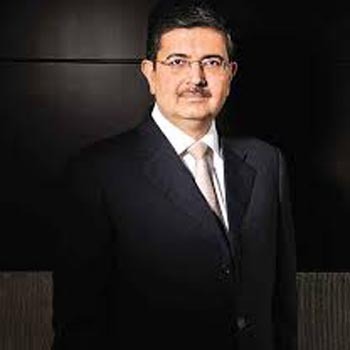 Private sector bank, Kotak Mahindra has reported an increase of 12 per cent in its net profits to Rs 282 crore during the first quarter of the financial year. The net profit in the same quarter of the previous year stood at 252 crore. It said that the provisioning towards advances and receivables were at Rs 52 crore during the first quarter till June 2012 compared to Rs 13 crore during the same quarter of the previous year. Kotak Mahindra Bank will soon be announcing quarterly results. The fast growing private bank is expected to declare positive results as per estimates of recent report by Prabhudas Lilladher. Kotak Mahindra Bank is currently trading with a P/E multiple of 41 and is hovering around its 52-week high of 612 on NSE. India central bank, the Reserve Bank of India (RBI) has asked the promoters of Kotak Mahindra Bank, Uday Kotak to reduce their stake in the bank to 20 percent by March, 2018 from the present 45.21 percent. “The RBI has advised the bank that the promoters’ shareholding, now at 45.21 percent, be brought down to 20 percent by March 31, 2018,” Kotak Mahindra Bank said in a press statement. The bank also said that it might be directed to reduce the promoter’s stake to 10 per cent in the bank. India central bank, the reserve Bank of India (RBI) has asked the promoters of Kotak Mahindra Bank to reduce their stake in the bank from 45 per cent at present to 10 per cent by 2016. Private sector bank, Kotak Mahindra Bank has announced a surprising 200 basis-point hike in its savings deposit rate for all deposits in excess of Rs 1 lakh in order to attract more deposits from its customers. The bank will offer interest at the rate of 6 per cent for deposits above Rs 1 lakh and at 5.50 per cent for deposits below Rs 1 lakh. The revised rates will come on effect from November 01, 2011. Technical analyst Salil Sharma has maintained 'sell' rating on Kotak Mahindra Bank Limited with a target of Rs 392. According to analyst, the investors can sell the stock with a stop loss of Rs 411. Mr. Salil added that it is better to sell the stock at this time as it looks weak. Today, the stock of the bank opened at Rs 408.80 on the Bombay Stock Exchange (BSE). The share price has seen a 52-week high of Rs 529.50 and a low of Rs 354 on BSE. Technical analyst Vijay Agrawal of Unicon Financial has maintained 'buy' rating on Kotak Mahindra Bank Ltd stock with a target of Rs 480. According to analyst, the investors can hold the stock with a stop loss of Rs 461. The stock of the company, on November 29, closed at Rs 466.05 on the Bombay Stock Exchange (BSE). Current EPS & P/E ratio stood at 19.66 and 23.54 respectively. 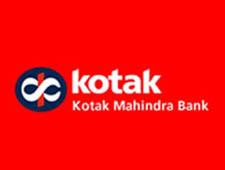 Stock market analyst Kunal Saraogi has maintained 'buy' rating on Kotak Mahindra Bank Ltd stock with a target of Rs 520. The analyst said that the investors can purchase the stock with a stop loss of Rs 460. He also said that the stock of the bank can attain the said target in 2-3 trading sessions. Today, the stock opened at Rs 483 on the Bombay Stock Exchange (BSE). Current EPS & P/E ratio stood at 19.66 and 24.54 respectively.